For the last 30 days we have committed to make room in our lives for nature in support of the Wildlife trusts “30 days wild” initiative. We signed up back in May and received a welcome pack that gave us lots of ideas for “random acts of wildness” and a calendar to update. 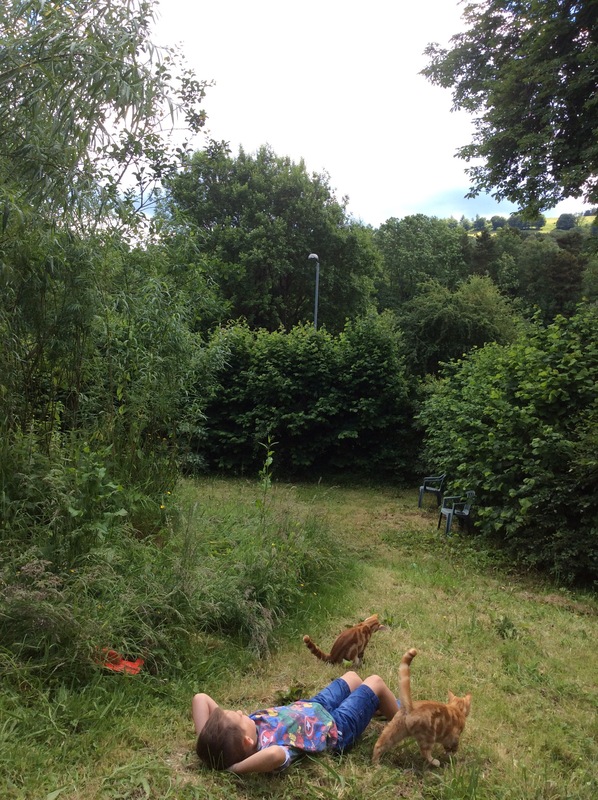 It was a great catalyst to get me out of the study and the kids off their PlayStation and outside to enjoy the long summer evenings. 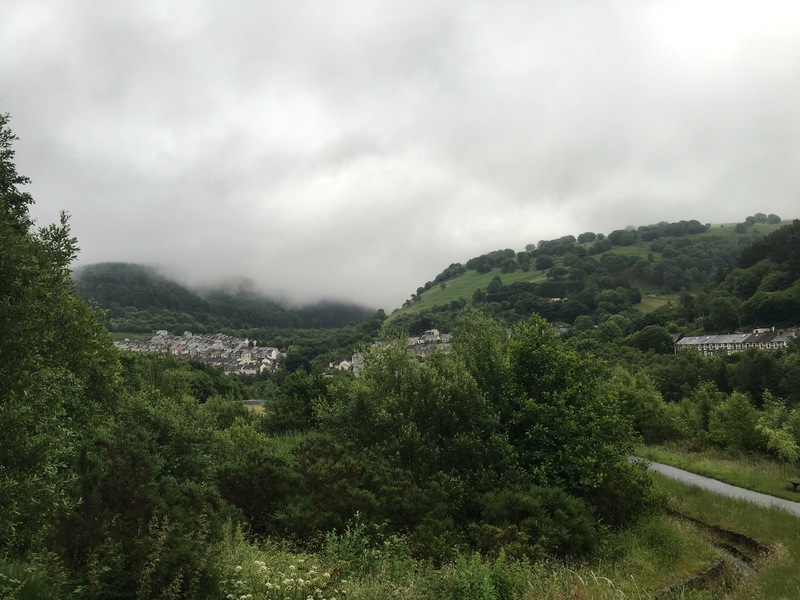 We are fortunate enough to live in the welsh valleys where we have a mix of densely populated ex-mining villages and beautiful countryside. This allowed for a diverse mix of urban and rural wildlife appreciation. You will see from my posts that each act of wildness was accompanied with a scripture reading that allowed the family to focus on God’s provision for us. I want to thank everyone at the Wildlife trust for all their hard (work especially the social media team for the retweets) and everyone who has followed the blog. We hope you have enjoyed it. 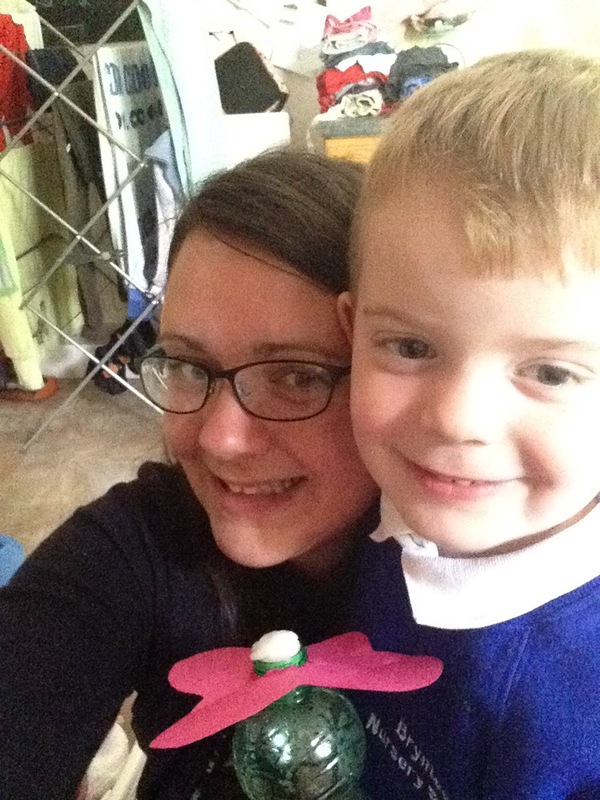 Day 10 a trip to Hastings, weaponry and a nest! The last day of our 30 days wild challenge was a wash out as the rain continued to hammer down. 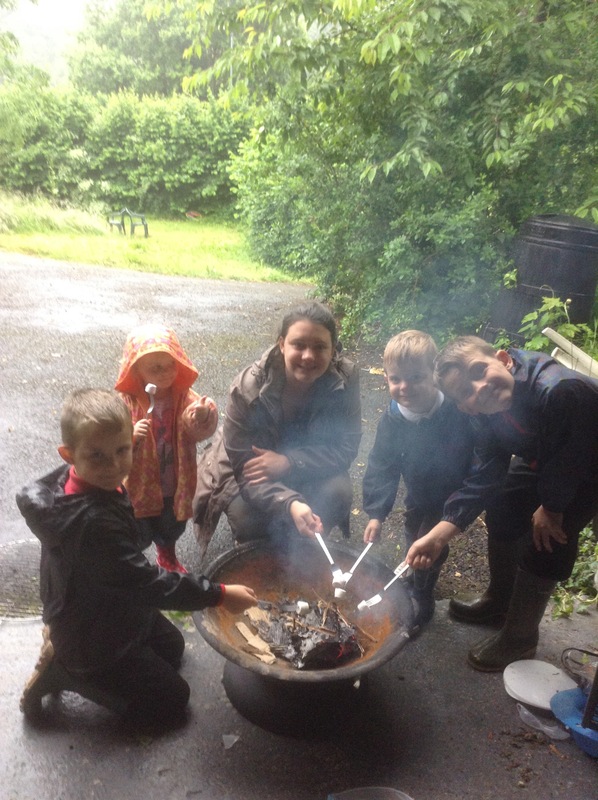 But we still wanted to celebrate what has been a wonderful time with nature, so we got the fire pit out and toasted marshmallows in the rain. The kids loved it! 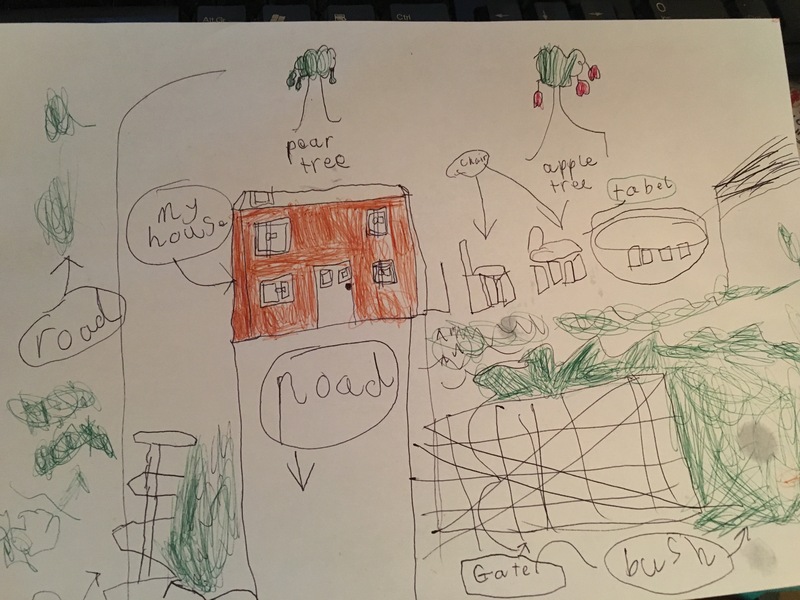 Another rainy day in our valley, so the kids (stuck indoors) drew a picture of the garden and labelled it! Let’s hope the sun has got his hat on for tomorrow’s finale! 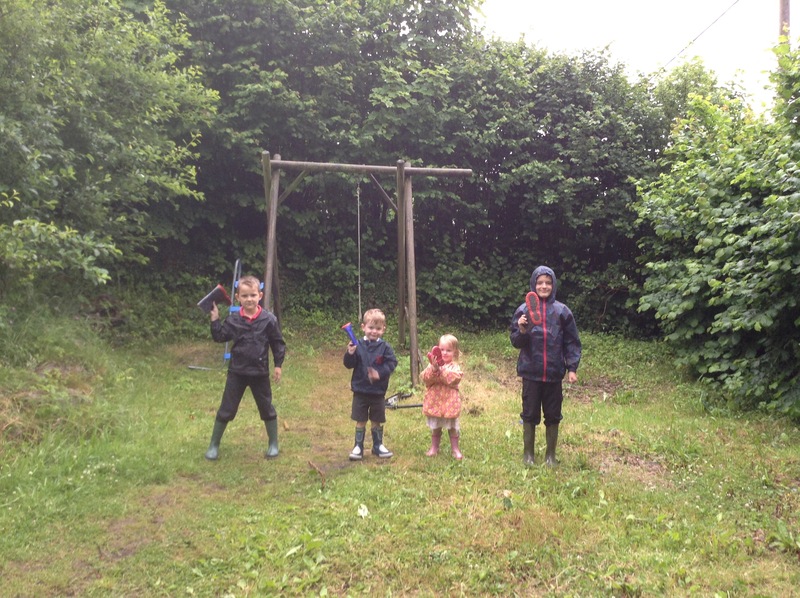 It’s a rainy day in our little Valley, so the kids got dressed up in their waterproofs and played a game of welly wanging! The rules are simple, the winner is who can chuck the boot the furthest. Not exactly wild, but it got them outside. 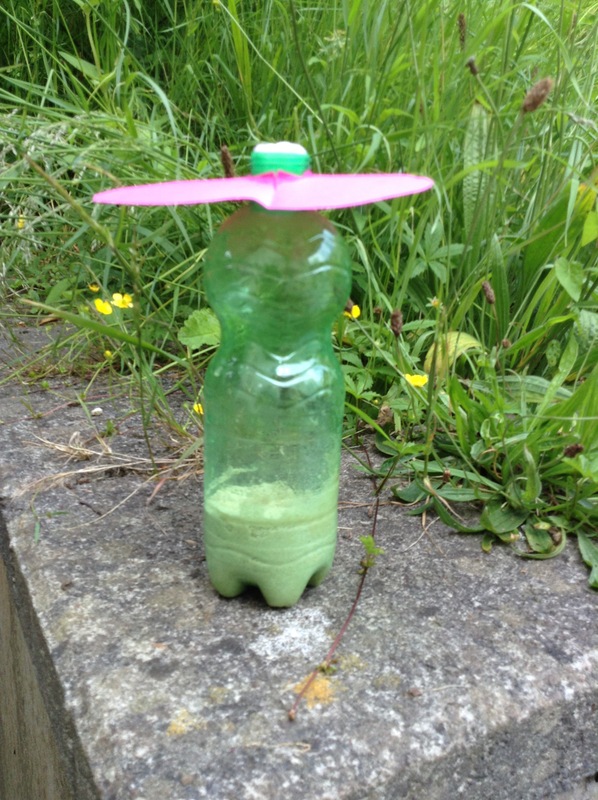 Today for our 30 day wild challenge we picked up an empty bottle, made my namesake (a funnel) to put sand into the bottle and weigh it down. 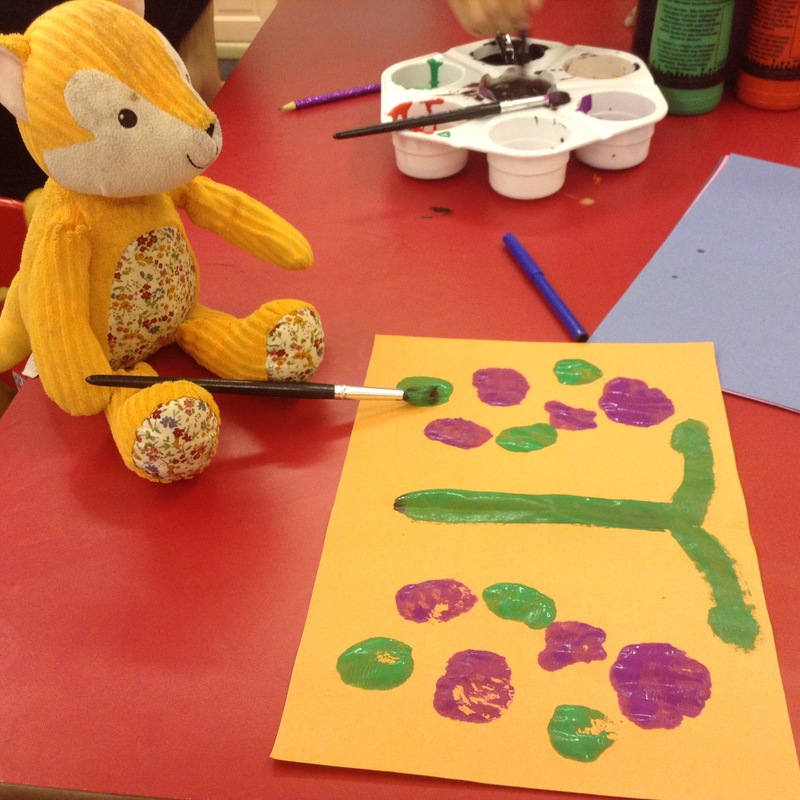 We then soaked cotton wool in sugar water and popped it into the top and decorated with a flower. Today the congregation at Noddfa had a well earned break from me. I went to the neighbouring Valley to preach morning and evening at a sister church, Blaina Evangelical. 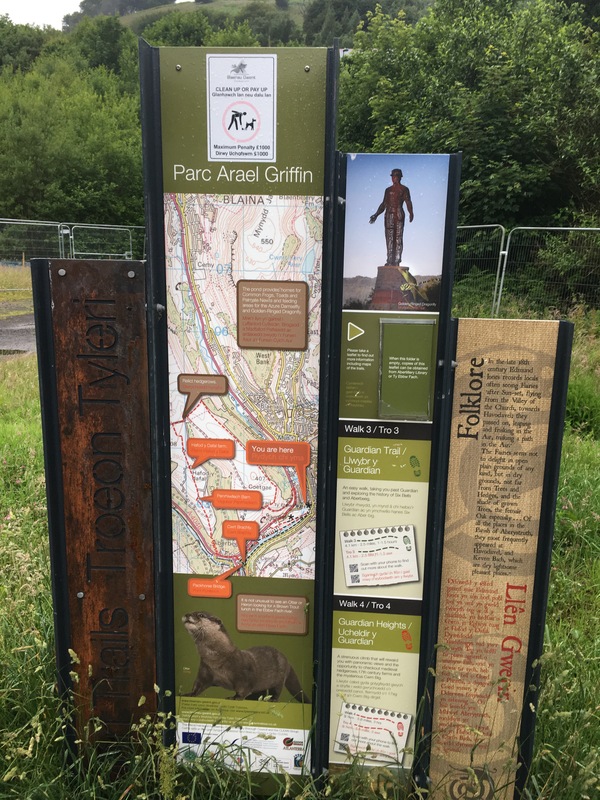 We had a wonderful day together and on the way back stopped off at Six Bells Abertillery for our 30 day wild challenge. I told the boys we were going to walk with a giant! We walked through Parc Arael Griffen to the magnificent Guardian statue. The Parc also features rivers, ponds and grasses, with spectacular views, much was fenced off for a conservation project to encourage lizards to the area. 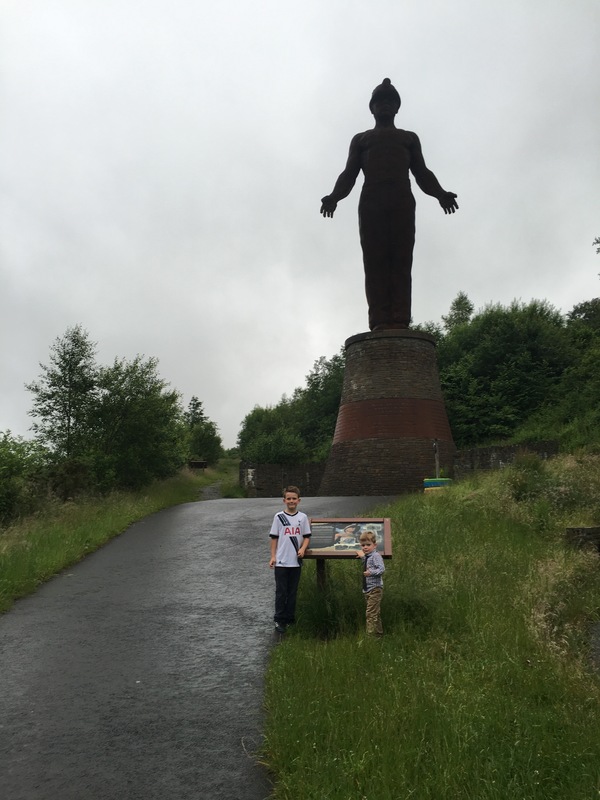 The Guardian is a memorial for the local colliery disaster that killed 45 men in 1960. 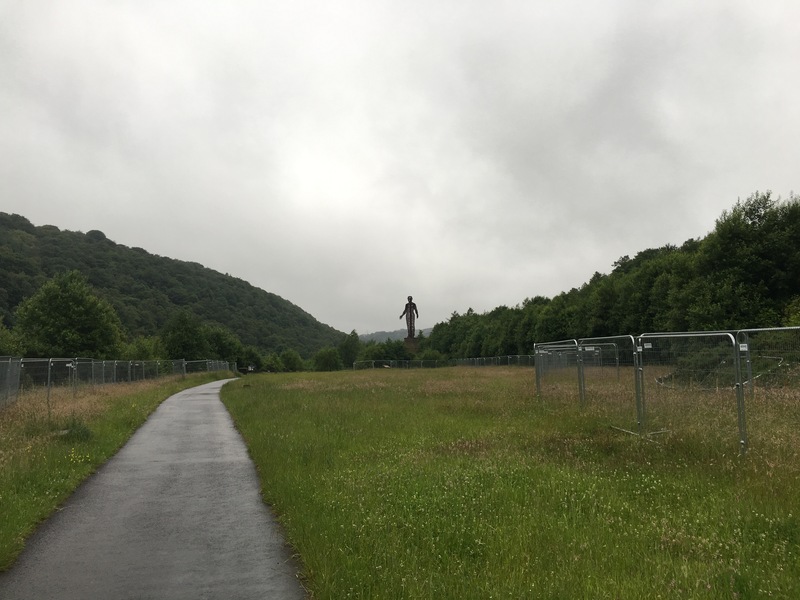 It is an impressive figure staring down the valley. It reminded me of Ezekiels vision. Today we have had a lazy day, Oscar’s favourite type of day! We sat in the garden and watched the clouds tumble over the valley broken by blue sky and the sun. 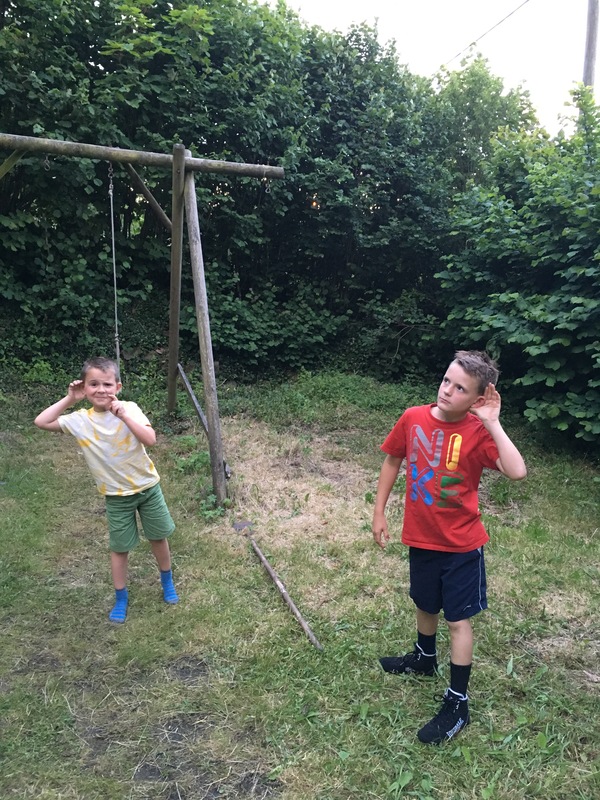 Our 30 days wild challenge was left until late as we spent some time in the garden listening to evening bird song. 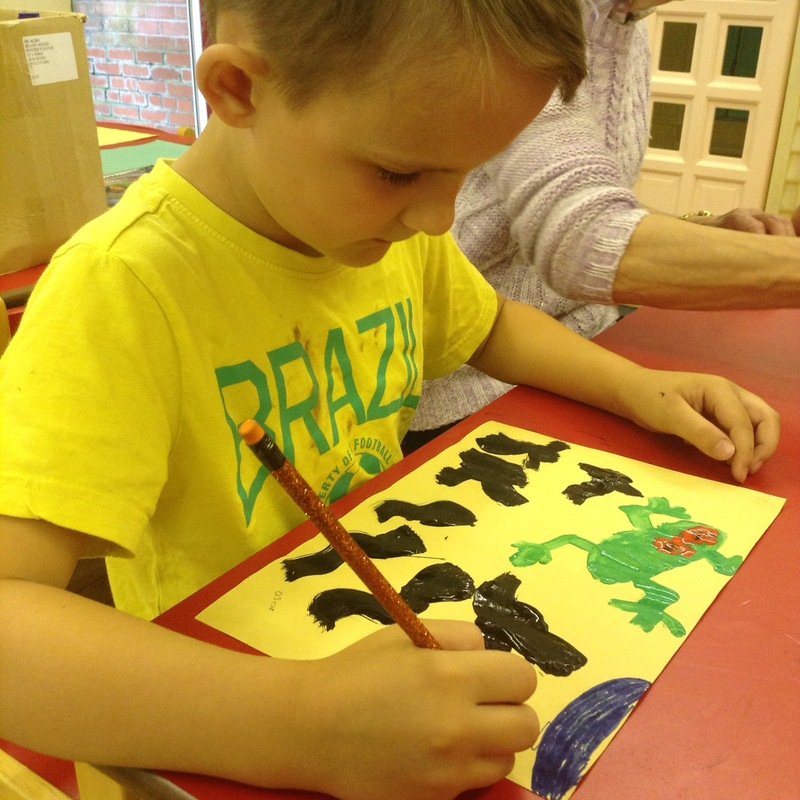 Today the boys school was closed as it was being used for a polling station at the EU referendum, so we went up to the church and painted some wildlife pics, including a bug! 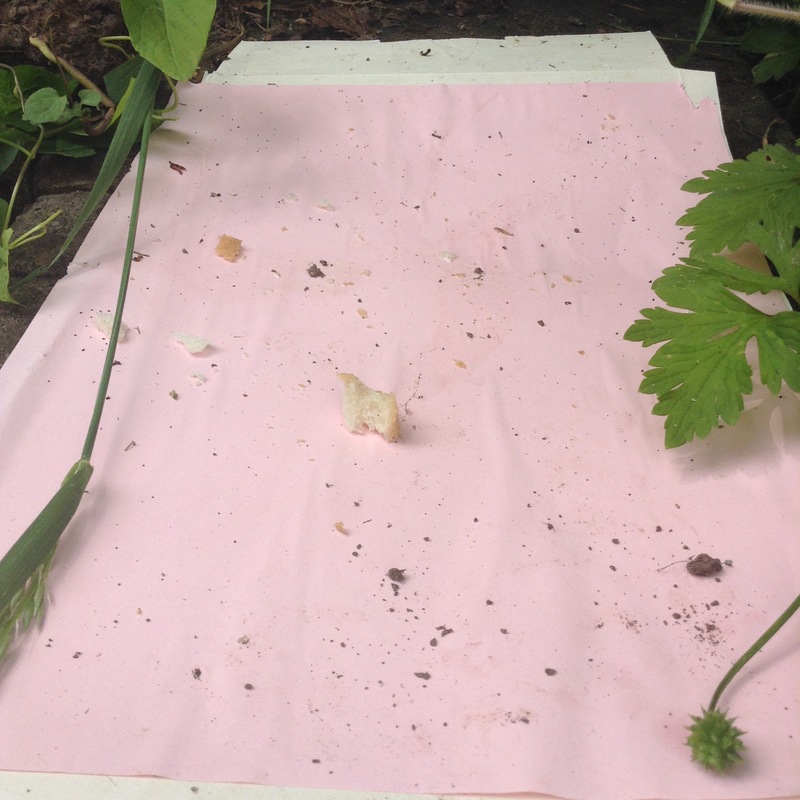 We then checked the footprint trackers, all the bate was gone….but not one print! No prints, no bread, not fair! 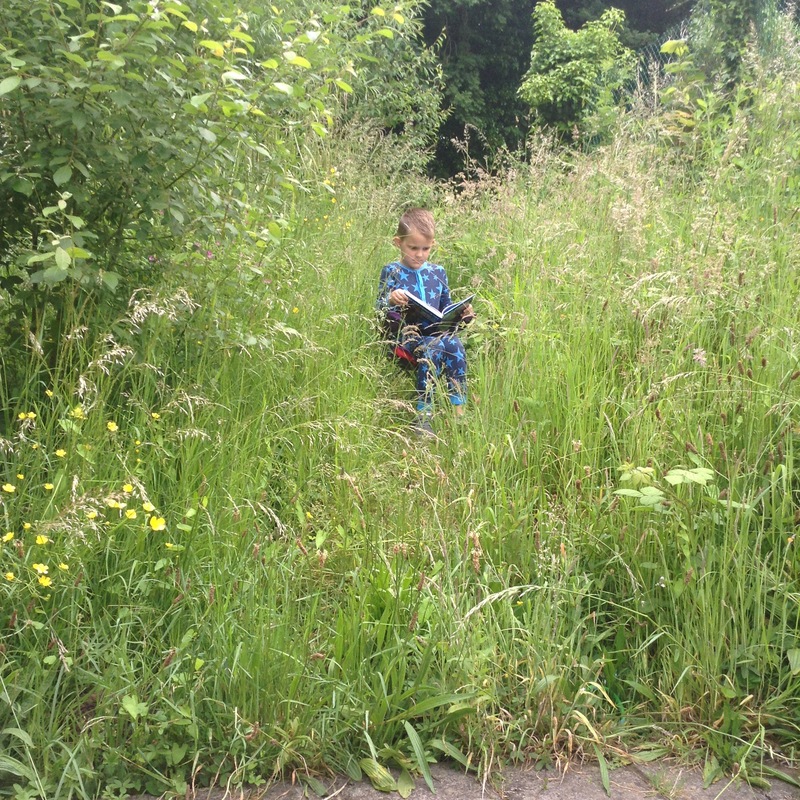 Today we went to our patch of Garden that we have left to grow wild and enjoyed a time of reading.